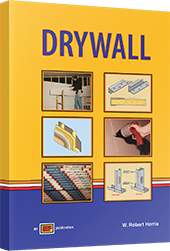 Drywall details the principles and practices of the drywall installation and finishing trades. Math concepts are presented with special emphasis on the math skills required to measure and cut drywall. Common materials, tools, and equipment are described and shown in use.